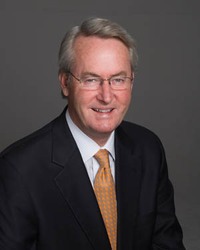 Pat Oles has been President and CEO of Barshop & Oles Company, a privately held Texas-based commercial real estate development and management firm, since 1986. Prior to forming Barshop & Oles Company, he served on the senior staff of Governor of Texas William P. Clements, Jr. as Director of Governmental Appointments from 1980 to 1983. Throughout his career, he has served in leadership positions with numerous governmental, business and higher education organizations, including ten years of service on the Board of Directors of the Lower Colorado River Authority and as a founding member and former Chairman of the Board of Trustees of the Texas Parks & Wildlife Foundation. He was a member of the Advisory Board of Directors of JPMorgan Chase, Chairman of the local chapter of the Young Presidents Organization and a Trustee of the Texas Nature Conservancy. Currently he serves as a member of the Board of Directors for SouthWest Water Company, a leading provider of water and wastewater utility services, and the Board of Directors for American Campus Communities Inc. (NYSE:ACC), the nation’s largest developer, owner and manager of high quality student housing. He is an active member of the University of Texas System Chancellor’s Council Executive Committee and the University of Texas Development Board, having served as Chairman of both organizations, and continues as Chairman of the UT Elementary School Development Council. He holds the McCoy Professorship for Studies in Entrepreneurship in the McCoy College of Business Administration at Texas State University, and is a member of the Board of Directors of the McCoy College of Business Development Foundation. Pat is a native Texan, born and raised in Amarillo, and resides in Austin. He received a Bachelor of Business Administration from the University of Texas Austin. His wife Julie, has been an active volunteer and leader in many local, state and national non-profit organizations. They have three adult children: Sterling Oles O’Hara, Catherine Brooke Oles and Charles Patrick Oles III.